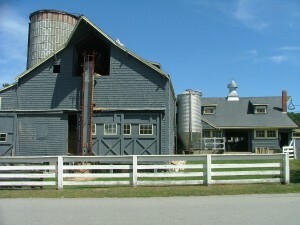 Rogers Spring Hill Farm, Inc. is a four generation family farm located in Ward Hill, MA, just minutes from Rt. 495. Rogers Spring Hill Farm was founded in 1902 when Randolf Rogers purchased 2 1/2 acres of land, one horse, and a cow. His concentration focused on cultivating vegetables. By 1928 the first tractor was purchased, and in 1941 Randolf expanded his farm by adding more cows, enabling him to expand into milk distribution industry. An artesian well was dug in 1978, allowing the introduction and distribution of bottled water. In 1990, to further expand their business, a garden center was purchased offering a variety of fine products with superior customer service. We grow a mix of fruits and vegetables for the market, as well as pick-your-own. Today, and four generations later, Rogers Spring Hill Garden Center is owned and operated by two of Randolf’s great-grandchildren, Stephen and Barbara. Our goal is to bring people back to their rural roots of both the farm and the garden center, and have fun doing it!